Blackfeet Community College’s Native Science Field Center (NSFC) is located in the Never Goes Crooked Building on north campus. We offer seasonal informal science education programming for K-14 and serve as a resource center for educators and students. The NSFC staff provides year-round activities such as Blackfeet Skies Astronomy presentations using the portable planetarium and culturally relevant science education field activities/presentations. The center emphasizes STEM learning through “outdoor classrooms” methodology. The NSFC has developed models for field monitoring programming that inventory native species and document their distribution throughout watersheds in the mountains and plains. 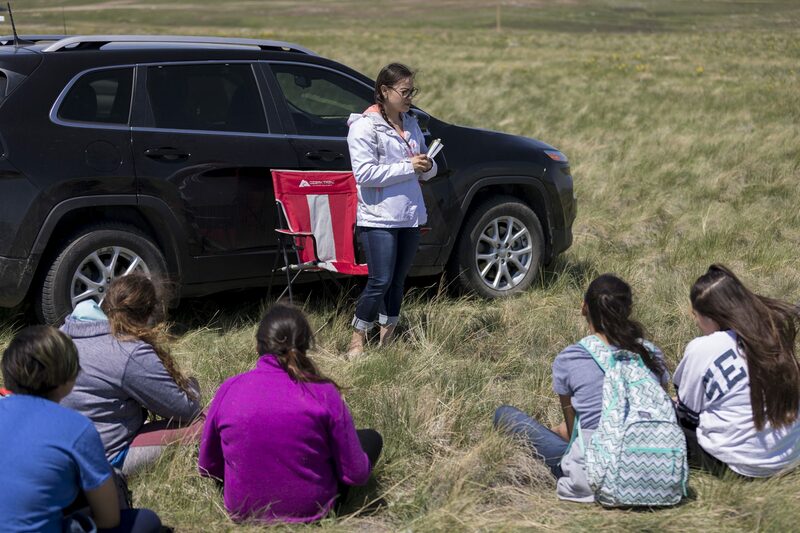 Storytelling and Blackfeet language are pedagogy used to help participants gain a long-term understanding of stewardship and connection to place. The NSFC is currently supported by the Kendeda Fund to provide seasonal after-school and summer science institutes for grades 4-6. Please contact our office for applications and schedule. To schedule an activity or check out resources available please contact us at least two weeks prior to your request. You may submit a request to any of the three contacts provided. BCC NSFC recognizes that there is a pressing need for more Native American geosciences professionals, especially in the Northern Rockies where 14 tribes manage 7 million acres of land and natural resources. 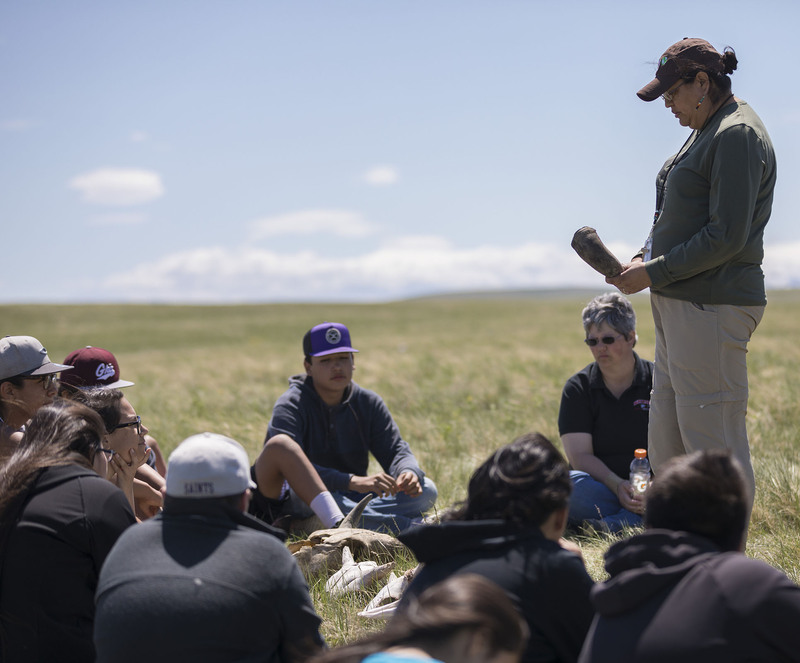 BCC Native Science Field Center has partnered with Salish Kootenai College and Hopa Mountain to increase Native American student participation in the geosciences. We encourage our High School and Tribal College fellows to engage in higher education/research opportunities and geosciences careers paths to Forestry, Wildlife Biology, Hydrology, Geology, Environmental Science, ect. This high school, tribal college, and university fellowship program helps to support and train the next generation of tribal environmental professionals, and also helps ensure that their geosciences training is relevant to their future work. Tribal College applications are available at the Native Science Field Center office in the Never Goes Crooked Building. The University Fellowship applications can be accessed by students, each fall and spring semester at hope mountain. 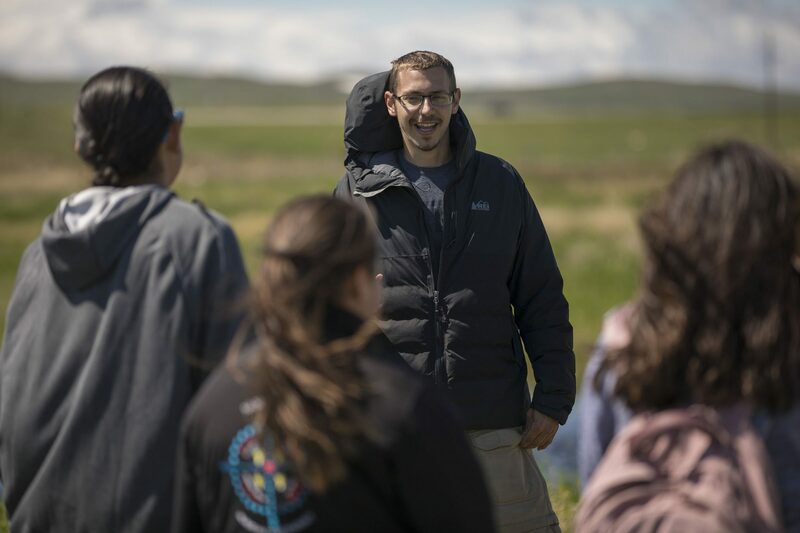 The annual weeklong High School Native Science Fellows Summer Institute applications are distributed at the end of each school year and submitted to Blackfeet Community College Native Science Field Center each summer. Since May 2009, Wildlife Conservation Society with tribal members have convened Tribal elders and members at large from all four Blackfoot Confederacy Tribes including the Siksika, Pikanii, Amskapipikani, and Kainai. 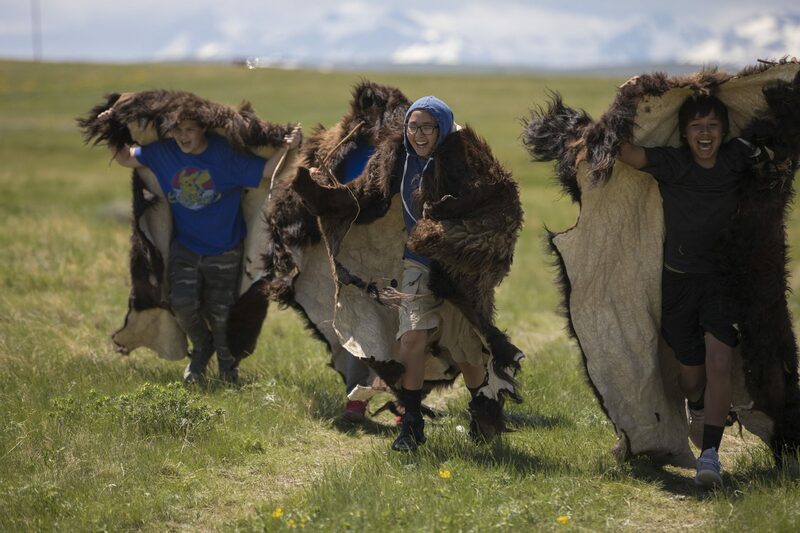 As a result of a series of dialogues the tribes have crafted a trans boundary conservation vision and charted a pathway, the Iinnii Initiative, to encourage cooperation in wildlife conservation and repatriation of buffalo. This partnership agreement is intended to enable students and staff to participate in meeting discussions, conservation planning, wildlife research and community events associated with this conservation initiative. Blackfeet Community College partnered with Wildlife Conservation Society establishing a unique opportunity to work together in the “Crown of the Continent” to meet mutual interests by supporting student involvement in conservation activities and engagement in future field science and research. The project agreement is designed to support Blackfeet student interns and BCC staff in supporting research, education and outreach activities of the Iinnii Initiative and Wildlife Conservation Society conservation projects in this region.